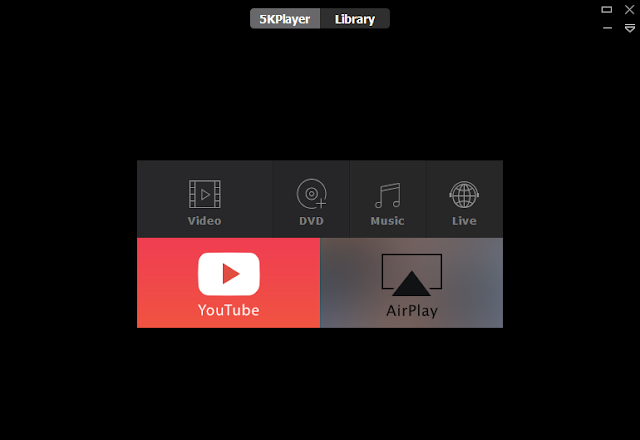 5KPlayer is perhaps the best utility app that offers free 4K/ 5K /8K music video playback for MKV MTS DVD 1080P videos and APE FLAC MP3 AAC music , with built-in YouTube online video downloader, AirPlay sender/receiver and it’s able to stream video/music from iPhone to both Mac & Windows. The YouTube downloader and AirPlay features on 5KPlayer was first released for Mac in early 2015, while the Windows version followed some months after. 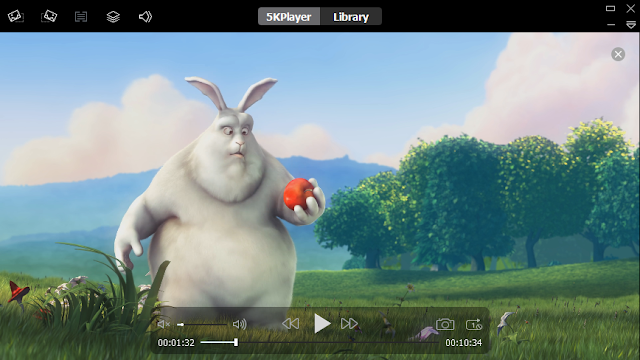 Find below some enhancements that make 5KPlayer one of the best free 4K UHD video players for Windows 10, and what it offers more than regular media players. 5KPlayer support all video music file types, including MP3, WMA and M4A, and also offer playback for less-known formats like FLAC, APE lossless files. It also supports ISO file format, and able to plays live radio like CBS Sports, NBC news, The Buffalo country & rock radio, etc. 5KPlayer is capable of streaming videos and music from iOS device to a Windows computer via AirPlay, and users can mirror an iPhone or iPad screen to Windows 10 computers. Additionally, it can record the computer screen as a video file. As both AirPlay sender and receiver, it ensures that users can stream video and audio files, including full-length movies from iPhone, iPad, and iPod to Windows. 5KPlayer can handle virtually all media file types, and offers video and music playback in any format, including 4K, 1080p, H.265, MP4, MKV, AVI, MP3, AAC, OGG.etc. 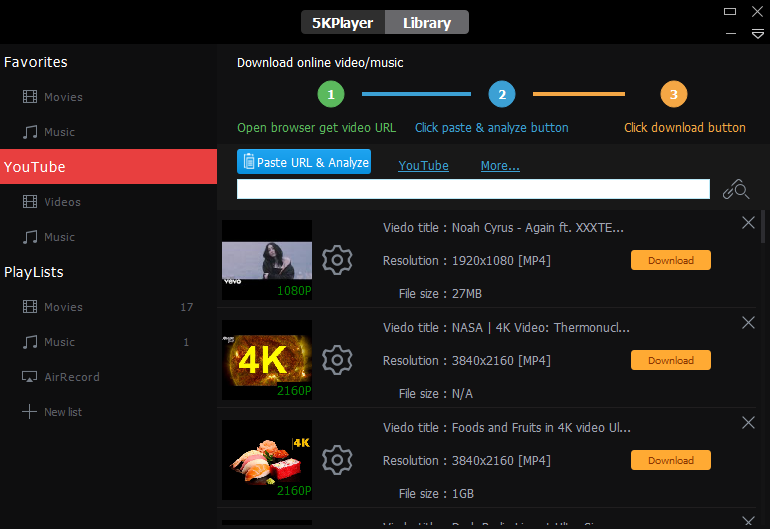 Apart from the ability to play local media files, 5KPlayer can also help enrich your music and video collections by the free downloading of videos/movies/music songs online , including from YouTube, Facebook, among others. It also support 1080p HD videos and 4K ultra HD videos downloading. And you can easily convert the videos from MP3 to AAC, and vice versa. Definitely, these features make 5KPlayer overwhelming superior to the competitions of other media players. And coupled with the intuitive interface and user-friendly layout, which makes it easy for users to customize their videos and audio playback with tons of options. 5KPlayer is perhaps the best free 4K/5K music video playback for MKV MTS DVD 1080P videos and APE FLAC MP3 AAC music, with AirPlay sender/receiver and video/music stream for iPhone, Mac & Windows.